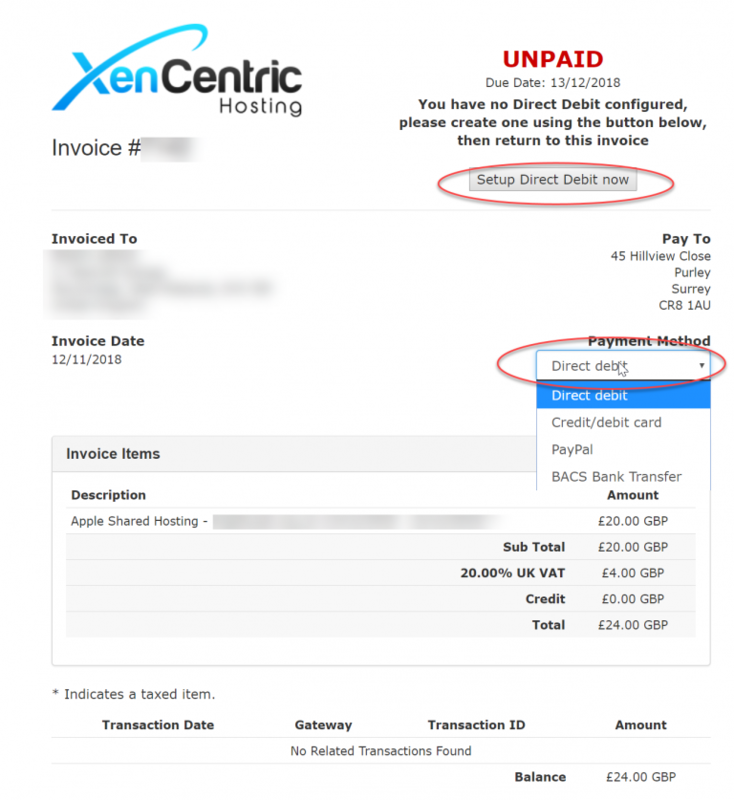 You can now benefit from the convenience of being able to setup a Direct Debit arrangement to automatically pay for your hosting and/or domain renewal invoices as they arise each year. This will display your list of domains you we manage for you. To renew, select the domain you wish to renew. Note the “auto renew” is only applicable if your account is in credit – most accounts are not in credit so your domain will not auto-renew unless an invoice has been raised. 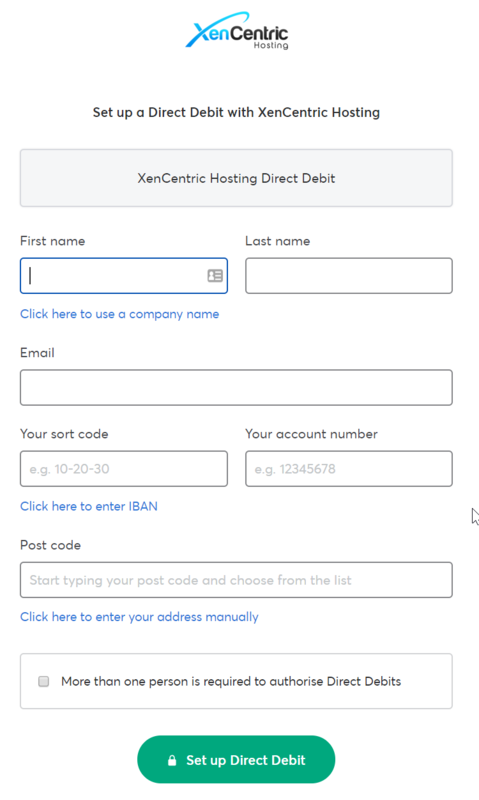 The domain details page shows your current billing method, and the registration and expiry dates. 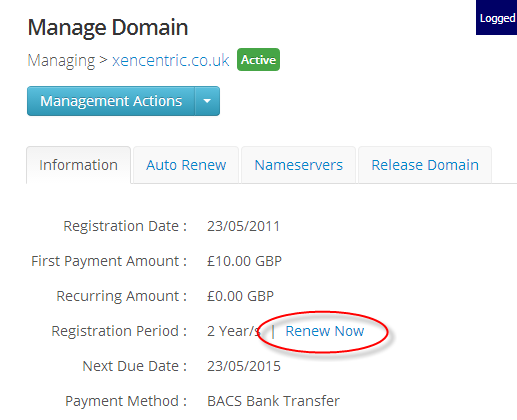 If your domain is within a renewal period (usually 180 days or less until expiry) you will get a “renew now” link. The domain renewals page shows you all the domains that can be renewed. You may combine renewals onto a single invoice for convenience. Tick the domain(s) you wish to renew, and choose the number of years you wish to renew for from the drop-down list. The middle column shows the number of days until expiry. Whilst the above example covered creating a domain renewal invoice, from here onward applies to all kinds of invoices. This then takes you to our Direct Debit processor, GoCardless.com. Enter your details and create an account with GoCardless. You only need to complete this step once – once the account and bank details has been setup they will then automatically be used to pay future invoices via the Direct Debit process. Note your invoice won’t immediately be flagged as paid. It takes approximately five days for the first payment to reach us for new Direct Debit instructions, so please ensure you don’t wait until your invoice is at the due date before setting up a new direct debit with us to avoid late penalty fees being applied. For future invoices, we will automatically collect them on their due date.